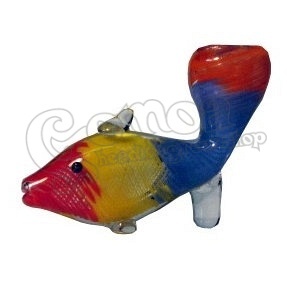 Colorful fish shaped pipe made of thick glass. It is available in various colours and pattern. 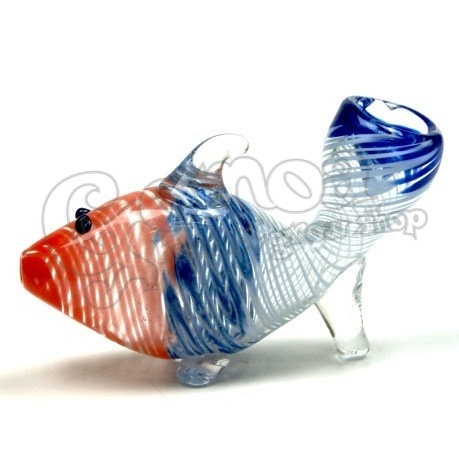 The thick glass body cools down the smoke. Design will be choosed randomly. To choose your favourite you have to visit our shops personally.